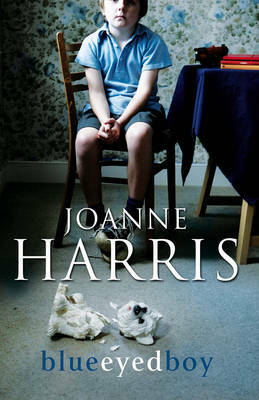 Joanne Harris, the acclaimed author of Chocolat, departs from sunny characters and a feel-good story in her latest work, blueeyedboy. ‘blueeyedboy’ is the online name of Benjamin Winter, a troubled man who joins a creative writing forum. Group members post chapters of their works-in-progress, comment on those of others, and occasionally get together. Benjamin’s posts are particularly imaginative—and very dark. blueeyedboy’s life is bleak, full of abuse. He’s learned early that lies can save. There are messed-up relationships, black secrets and disappointments, all of which build to a festering rage. It becomes clear that Benjamin and blueeyedboy are one; it’s also clear his murderous fury has been acted upon many times before. Through his writing, Benjamin manipulates those around him in order to perpetuate his latest plot, something monumental this time, something to change blueeyedboy’s life. blueeyedboy resembles the old-fashioned epistolary novel, with posts serving to create a ‘real-time’ psychological build-up. This format is problematic, however. Some posts are ‘publically’ available; others are ‘restricted’. In order to follow the clues, the reader is required to keep track of which information is known to all characters, which is known to some, and which is exclusively for the reader. Past and present become jumbled. Events are sometimes written about as they unfold—always illogical in a novel. While the posts of other characters offer different perspectives, it’s never clear what is true and what made-up. Here, fiction is presented mostly as a game of wits. Identities shift, facts blur, others emerge more devious than the blueeyedboy. While confusing, it’s also intriguing fun. Harris’s big problem is that, unlike the main characters in Chocolat, those of blueeyedboy are so awful, so dysfunctional and arrogant and chillingly cruel, it’s difficult to care about what happens to any of them. First published in April 2010 in The Courier-Mail.